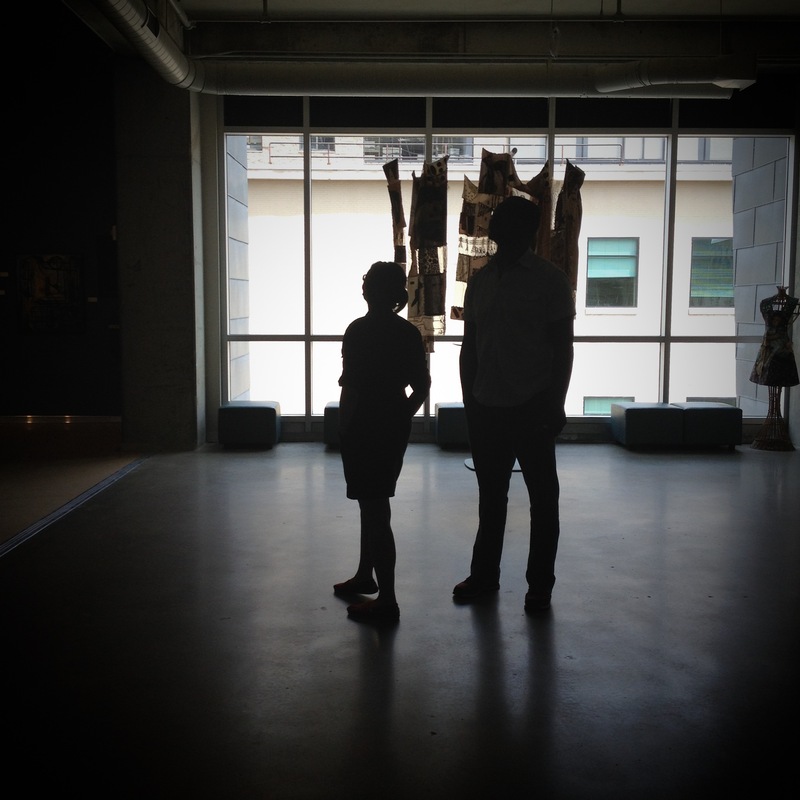 Visiting the Last Supper Table exhibit space at the UICA and brainstorming. This weekend we had the opportunity to visit our exhibit space at the UICA and it had us thinking about both the art and the execution of the project. We are experimenting in the shop and working through our thoughts on the overall scale of the table as well as its details. It is this part of the process where we understand and value the act of collaboration. It is also this part of the process that tends to be silent to you, the public. What you are allowed to see is a finished piece, not one under production. 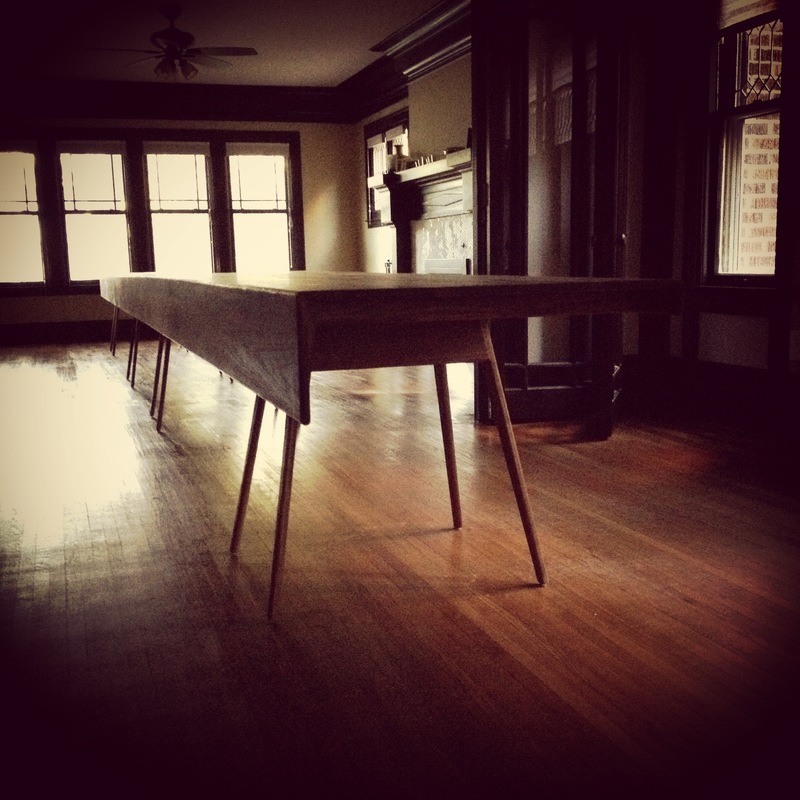 The Last Supper Table is an exception and, in the next few weeks, you will see our process come to life. You may also begin to understand the way that we collaborate. 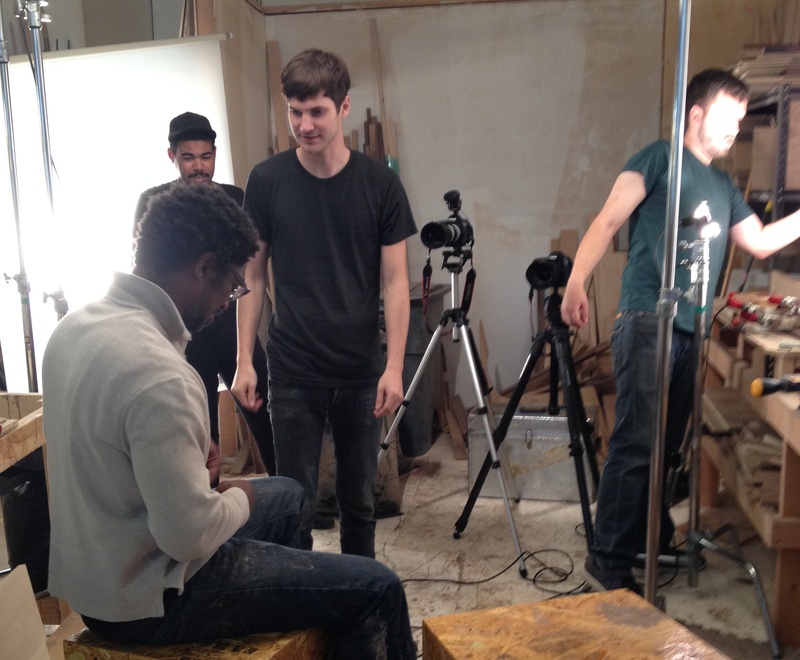 The Prologue video to the Last Supper Table already tested us as co-designers. If you pay close attention, you will notice two seats with only one of us present at a time – not both. We walked into the video shoot with the intention of speaking about the Last Supper together but we were prompted to do so apart – and this was not easy. 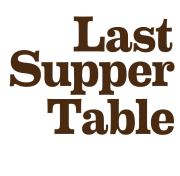 As you follow the making of the Last Supper Table you will get to know us, the makers, a little more. For instance, the post before this was one that took Andre 33 years to write. It is this kind of release that drives this project for the both of us.